Last week EasyJet unveiled new wearable tech uniforms for both cabin crew and aircraft engineers. The new uniforms feature built-in tech to improve communication and passenger safety procedures. The cabin crew uniforms have been equipped with LED lights on shoulders and illuminated hems that provide extra light in an emergency. At the same time, the LED lights in the engineers’ jacket hoods provide hands-free light in work areas, and their visibility on the air field is improved by reflective laser cut decorations. Airlines are not the only industry to explore more unconventional applications of wearable technology. Healthcare is one of the sectors where wearables can potentially help save lives or at least considerably improve the wellbeing of patients. Recently,researchers at the University of Illinois developed a new flexible sensor that tracks blood under the skin. It can help monitor changes in specific blood vessels continuously for 24 hours a day. The value of wearable technology for improving the productivity or safety of users is increasingly clear. However, form factor constraints are an issue when it comes to creativity and utility. This may be one of the reasons why we haven’t yet seen ‘more creative’ variations of wearable technology beyond the smartwatch, fitness band or Google Glass. Most wearables are rigid and not sufficiently light or thin, making them uncomfortable to wear. Moreover, if they feature a display, it is usually too small to add real value to the user’s experience. 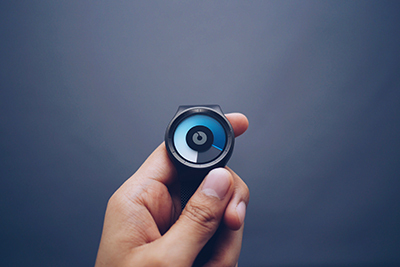 Flexible technology can help uncover the full potential of wearables. Flexible displays and flexible sensors will enable wearables to conform to our bodies and integrate into what we wear providing us with new productivity and safety benefits. This, on the other side, can have a revolutionary impact on the way we work and live. For example, replacing rigid electronic devices with flexible wristbands with sensors in a warehouse can cut costs and increase productivity. It will allow employees to access all information necessary on their arm, removing the need to carry separate devices, with the additional benefit of freeing up both their hands. In our personal lives, the ability to comfortably wear sensors for long periods offers step changes in personal safety (CO sensors can be close to the person, not only close to the boiler), and enable real time monitoring of patients (something that can enable pre-emptive measures, and change the way medical services are offered and deployed). If you would like to find out more about how our flexible electronics technology platform can integrate with your wearable product, contact us at info@flexenable.com.